Valencia Bay, Lot 279. Builder new construction quick delivery home with Impact glass windows. Oct/Nov occupancy. Price includes 36,000 in builder upgrades and $34,000 lot premium. Upgrades include additional recessed lights, 24x24 tile floors, Reflections Ceasarstone quartz countertops in the kitchen, with Frosty White Soho Maple cabinets and a glass tile backsplash. The master bath includes Blanco Maple countertops and Heatherstone Gray Lexington Maple cabinets. Vignette package includes custom paint, window treatments and ceiling fans. Elevation includes a Transitional style roof. Call for a full list of upgrades. Additional closing cost incentives may apply. Incentives may change at any time. Note: All photos are artist renderings. 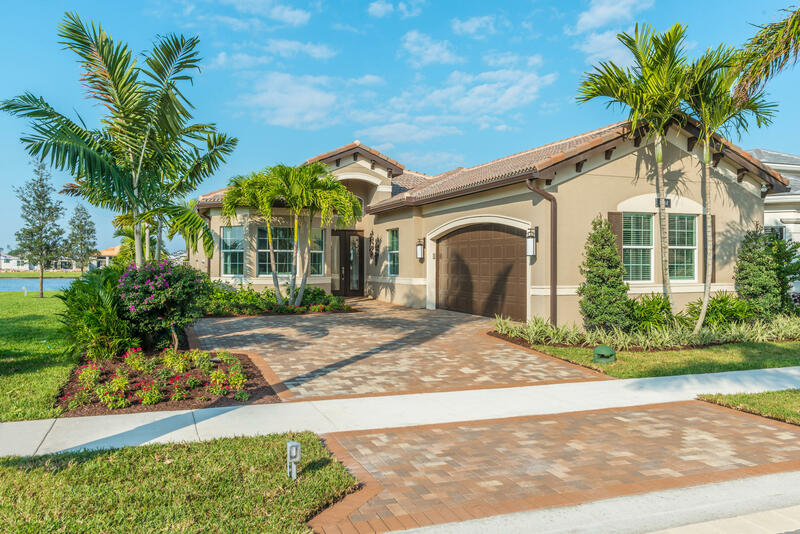 Virtual Tour is builder's model home.